What Happens When You Misuse The Peanut Butter Solution? Bald is beautiful...unless you are a young boy who suffers a bad fright and has all of his hair suddenly fall out. That is the story in The Peanut Butter Solution, a rare movie from 1985, which is currently only available on VHS videotape and not on DVD, which is now available in my eBay store as a Blu-ray and DVD combo. What follows the loss of his hair is both touching and humourous. It really is a serious problem when he loses his hair but he does not quite follow the recipe that he receives for curing baldness and adds too much peanut butter...bald might have been bad but once that hair started to grow...look out! What follows is a hairy mess and, as the cover says, "a hair-raising family adventure" that will make you laugh out loud. On this page, find more information and reviews of The Peanut Butter Solution as well as sources for buying your own copy of the movie. And, just in case you want to try it out, you can find a Peanut Butter Solution (for baldness) recipe here. "Michael is an 11-year old who investigates a supposedly haunted house that has recently burned down. What he sees scares him so badly that he faints, and on top of that, two days later all of his hair falls out. A couple of ghosts give him a magic recipe to make his hair grow back, but Michael puts too much of one of the ingredients - peanut butter - in the concoction and astonishing results occur!" MUSIC: Celine Dion performs two songs in English in this movie. They represent her first English recordings. YES! The Peanut Butter Solution Is Really a Movie! The Peanut Butter Solution was not a figment of your imagination. It is a movie that people remember vaguely and leave comments online like: I can't believe this was actually a real movie!, "I thought this movie was just a dream..." and, "Wow. It was actually real." People have spent years trying to figure out what this weird movie was that they remember watching as a child. A movie in which a boy lost his hair and used something to grow it back. When they finally figure out that it was this movie, they feel better. 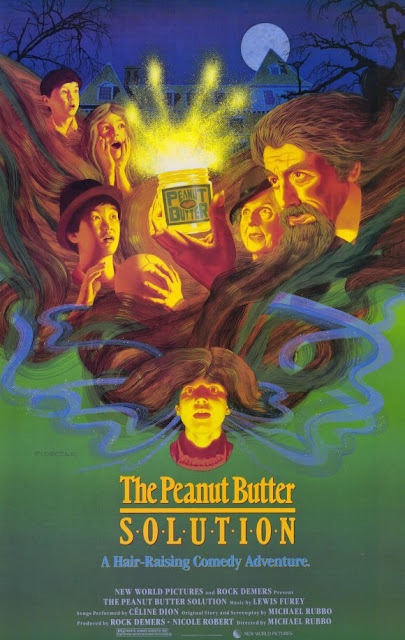 One writer said, "There should be a society called The Peanut Butter Solution Viewers Anonymous... for those who saw this movie who were haunted by it and told that it doesn't exist". Canuxploitation said, "The Peanut Butter Solution has proven it has just enough of an eccentric Dr. Seuss touch to permanently wedge itself in the memories of young viewers. Watching it again today, the film holds up generally well, despite some dated special effects." 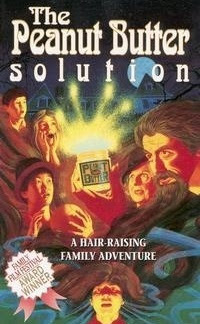 Click here to buy your copy of The Peanut Butter Solution Blu-ray DVD combo on eBay. Have you seen The Peanut Butter Solution? Are you a fan of 1980s movies? 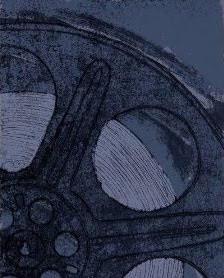 Is there a movie that you remember from the past that is haunting you? Author's Note: Previously published elsewhere.